The Cold War became frigid. Just before a meeting of US president Dwight Eisenhower and Russian Premier Nikita Khrushchev, a US spy plane is shot down over Russia and the pilot, Francis Gary Powers, is held captive until traded for a Soviet spy two years later. Coverage of the incident in the news made average Americans aware of just how much spying was happening, and that same coverage was used by the KBG to convince Powers that nothing was really secret, and that he should talk. While Powers eventually did succumb to KGB interrogation, much of the information he provided was believable but incorrect. .
“We Got Him”- Osama bin Laden is killed in a special operations raid in Pakistan. A ten year manhunt finally resulted in the death of the elusive al-Qaeda leader, the mastermind behind the September 11, 2001 attacks..
Crosby, Stills, Nash, and Young sang about the four students shot by National Guardsman at the Kent State University in the song “Ohio”. It was an event which simultaneously horrified and further stratified a nation divided over the Vietnam War. Riotous campus demonstrations over the Vietnam War incursions into Cambodia, and this shooting death of these students caused the temporary closure of 450 campuses across the nation. An explosion heard around the world happened when The Hindenburg, a German hydrogen-filledairship, blew up over New Jersey after crossing the Atlantic, killing thirty-seven people and ending commercial balloon airship transport. People had traveled safely on commercial zeppelins – more than 2,000 flights without a single injury – for over 30 years. But this one horrifying event brought the era of zeppelin travel to an abrupt end. Germany signs document of surrender, ending the fighting in the European Theater of WWII on May 9th. Hearts rejoice after years of merciless war. President James Polk and US Congress declare war on Mexico. This led to the annexation of lands that became portions of seven states including, California, Nevada, Arizona, Oklahoma, New Mexico, Utah, and Colorado. The “Corps of Discovery”, led by Lewis and Clark leaves on six thousand mile journey from St. Louis to Oregon, taking almost three years to explore the mostly unexplored lands to the west for President Thomas Jefferson. What became known as the Lewis and Clark expedition forever changed the American landscape. Dr. William Jenner of England develops the first smallpox vaccine, dropping the incidence of the disease by two-thirds. Charles Lindbergh flies his airplane, “The Spirit of St. Louis” from Long Island to Paris, 3600 miles in thirty three hours, an accomplishment which, despite his Nazi sympathies,sealed forever his place in American history. The city of Constantinople falls to the Ottoman Turks, ending the Byzantine / former Roman Empire in the east. The city is renamed Istanbul. Greek intellectuals and artists escape to the west, helping to fuel the reawakening of classical culture called the "Renaissance". History is the repetition of human nature, which has not changed much. Our achievements, but also our faults, are written in an endless flow of events. We recognize these singular events only at the peril of not recognizing the voices of multitudes that have lived, and do live, and do not make history but propel the story of humanity. 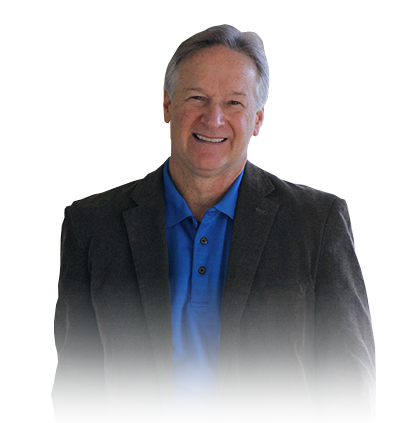 Allan Patch is the author of the contemporary/historical fiction thriller Apollo Series. Passage at Delphi and Delphi's Chosen use contemporary characters, historical encounters, and page-turning adventure to pose the question: what must we learn from our past to ensure our future. Read more from Allan at www.akpatchauthor.com. It's easy to tell the author REALLY knows his history and it's always exciting to encounter a book with a strong heroine as one of the main characters, especially in a story with this much action.